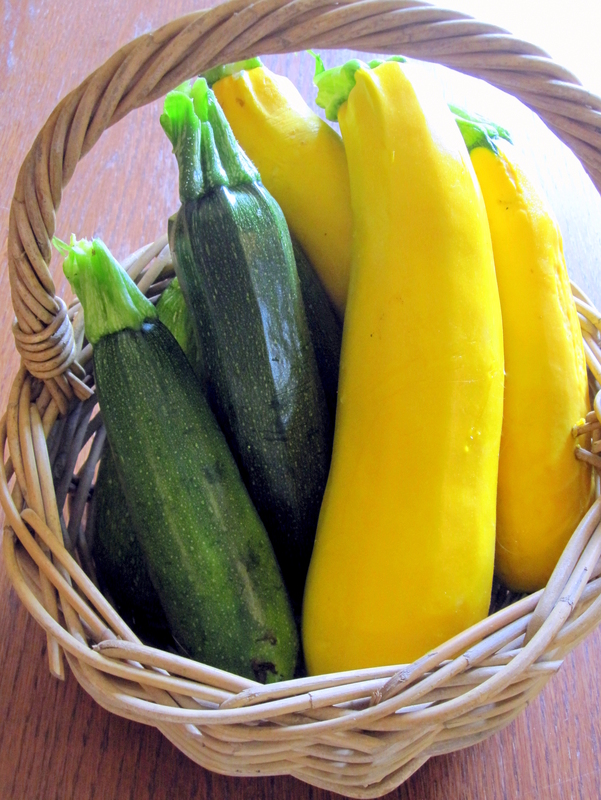 This time of year, many home gardeners find they have more zucchini and summer squash than they can possibly eat. Seriously, it’s amazing how much squash just one plant can produce. So what can one do with all of that surplus zucchini, short of leaving it on the neighbors’ front porches under the dark cover of night? Although I’ve been known to leave a bag of zucchini on a neighbor’s doorstep from time to time, my preference is to freeze zucchini and summer squash to use during the winter months. It couldn’t be easier. Here’s a simple how-to guide, along with tips for using your frozen squash in cooking and baking next winter. Choose fresh squash at the peak of its flavor, texture and nutritional value, without bruises and imperfections. Use two medium squash per quart bag. Wash the squash in cold water and pat dry. There is no need to peel the squash before freezing it. Cut off the blossom and stem ends of the squash. Using a box grater, rotary food mill or food processor, grate or shred the squash. Place the grated squash in the center of a clean towel and squeeze out as much of the excess moisture as possible. Package the grated squash in plastic freezer bags, using about 8 to 10 ounces per quart bag. You can use the zip-lock variety of freezer bags found at the supermarket. However, if you plan to freeze a lot of vegetables, consider investing in a vacuum sealing machine, which uses a suction process to remove the air from the bag. This helps to preserve the quality and flavor of the squash and to prevent freezer burn. 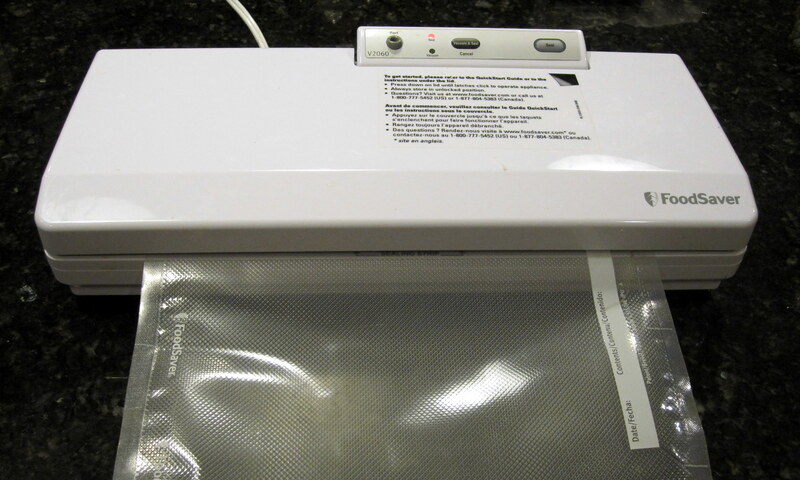 My FoodSaver vacuum sealer is indispensable in preserving the garden harvest. 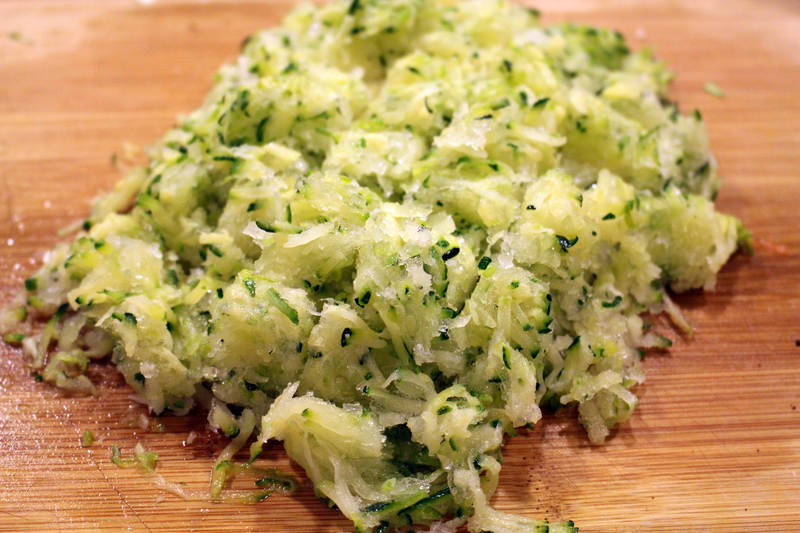 Note: If using a vacuum sealing machine to freeze zucchini and summer squash, it is helpful to flash freeze the grated vegetables before packaging, otherwise excess moisture in the vegetables tends to interfere with the vacuum sealing process (no matter how much liquid you squeeze out beforehand). After completing Step 2 above, simply mound the grated squash by cupfuls onto a cookie sheet lined with parchment paper and flatten each mound. Cover with a clean dish towel and stick the whole sheet into the freezer for a couple of hours. Then proceed with Steps 3 and 4. Use a permanent marker to label each bag with the contents and the date. Store them in a deep freezer at a temperature of 0°F. The squash should be used within one year after freezing. Place unopened bags in the refrigerator to thaw and add the thawed squash to soups or stews for an extra veggie boost or use in your favorite zucchini bread or cake recipe. Tip: If using the thawed zucchini for baking, squeeze out the excess water before measuring the amount needed for your recipe. This entry was posted in Preserving the Harvest and tagged food preservation, frozen vegetables, zucchini by Deborah Neyens. Bookmark the permalink.